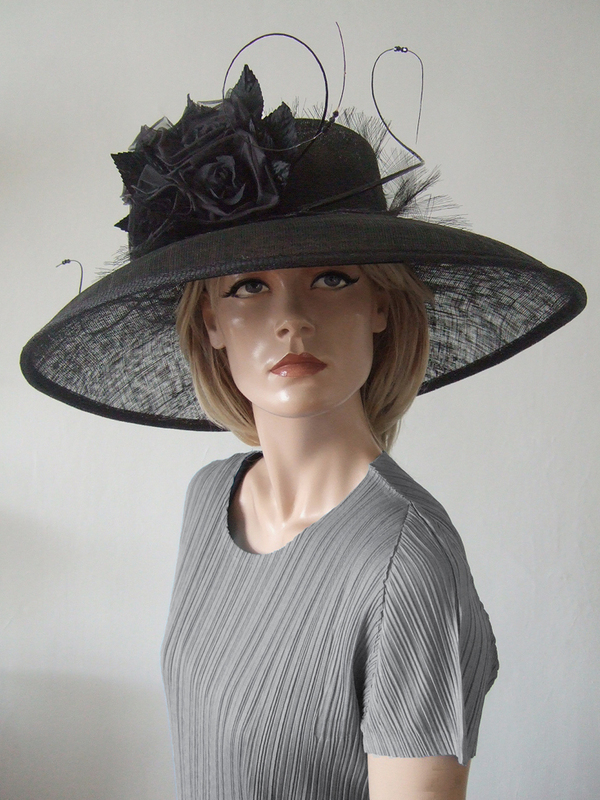 Large black picture hat from Nigel Rayment, dressed with three curled ostrich quills with black Swarovski crystals, a crown wrap of frayed crinoline, and large cluster of 5 organza roses. All black, so an easy, versatile option for those that are unable to try in advance. Crown has a 22.25" inside circumference. Brim is 6.3" wide all sides.